Let's start! 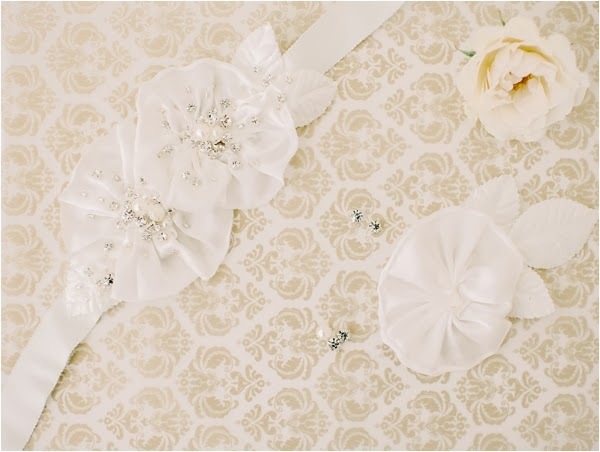 This bridal sash is so fun and easy to make! 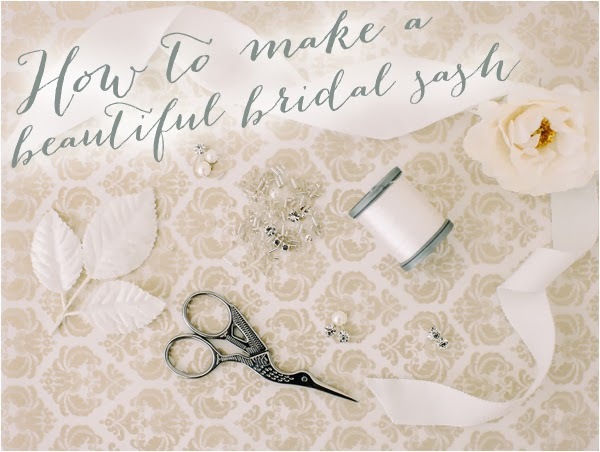 It won't require a lot of time so if you want to surprise your bridesmaids, just follow our instructions to help your creativity come out! 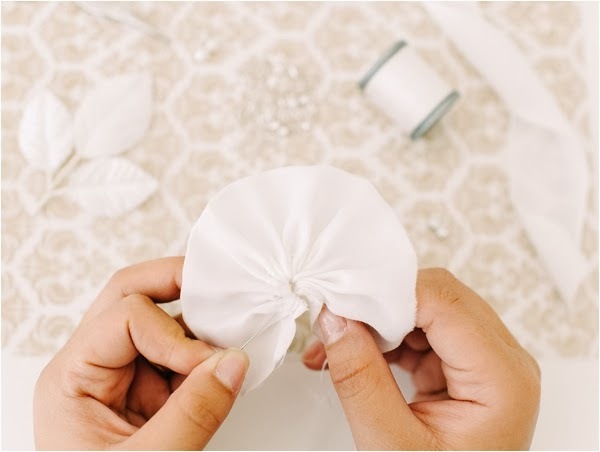 Step 1: You will need to prepare 2 or 3 strips of silk or any other material you'd love to use for your flowers. We recommend cutting a 5" strip for each rosette. 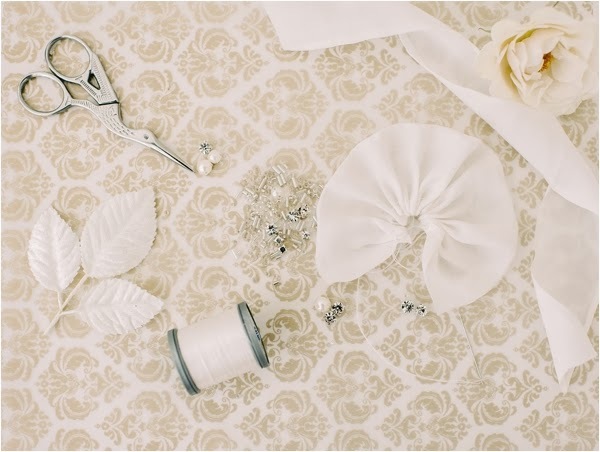 When it's ready, take your needle and your thread, and gather the fabric in a circular pattern to form a flower. 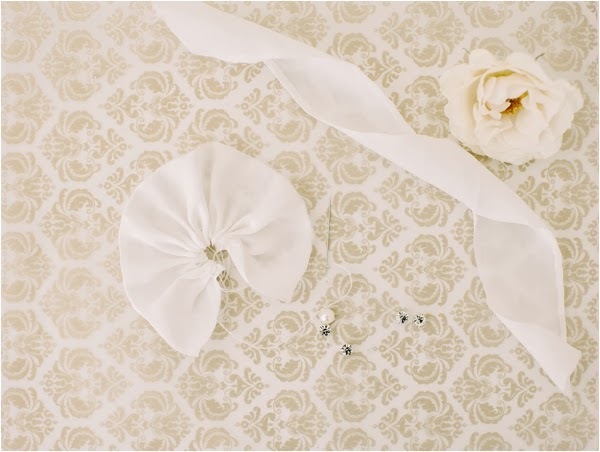 Step 3: Take your flower and embellish it with various rhinestones, beads and crystals. 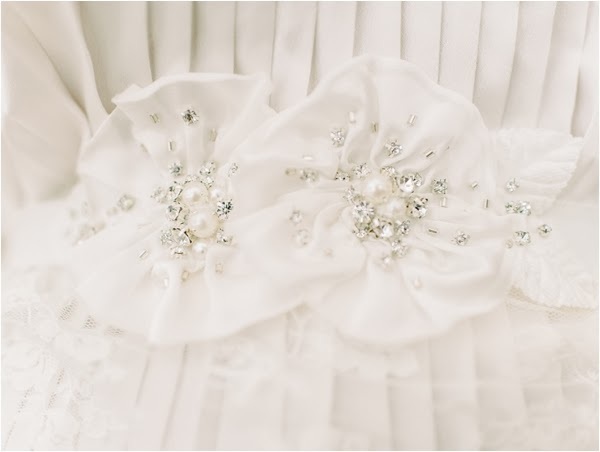 If you feel like using pearls, add them to make your bridal sash a true statement piece!Focus on embellishing the center of your flower, and then decorate the edges of your flower for more prettiness. Repeat this action for the remainder of the flowers. If you want a lot of sparkles, embellish your velvet leaves with a few Swarovski rhinestones or loose beads. Step 4: Attach your millinery leaves (you can use 2, 3 or as many as you wish to use) to your ribbon which will eventually become your sash. Attach your leaves to the ribbons first, and then attach your finished flowers to hide the wire of the millinery leaves... and voilà, your little masterpiece is ready! We hope you enjoy creating it with us! 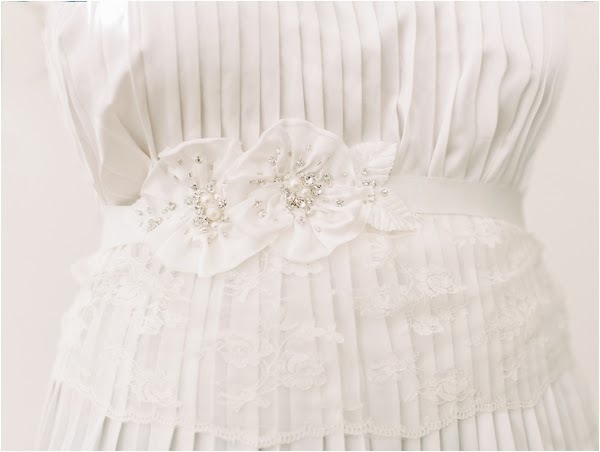 Enjoy wearing your handmade bridal sash!